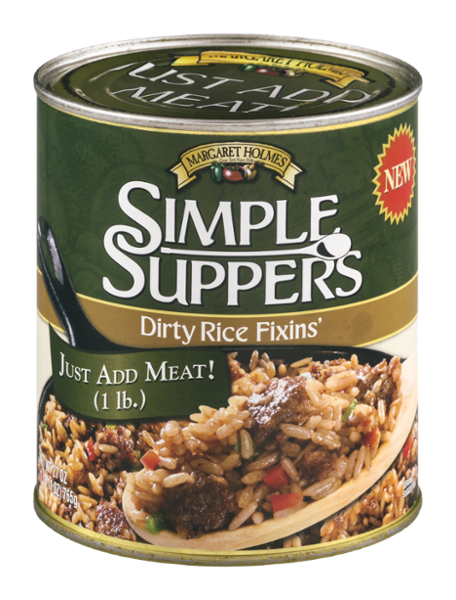 Simple Suppers Dirty Rice is perfectly seasoned and comes with rice, red and green bell peppers, and onion. Just add cooked ground sausage to create a hearty meal in a hurry. Our Dirty Rice is quick, easy and convenient to prepare for any size family.